Since the temperatures are up to 37° C it is wise to stay inside and stick my nose in the last batch of books I have received. 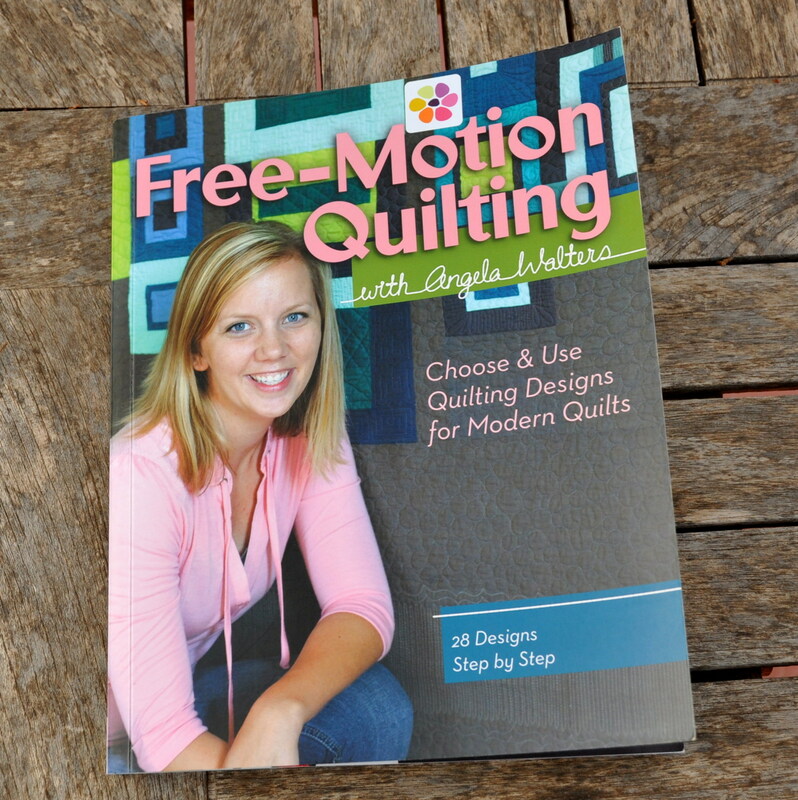 I am absolutely smitten with the Free Motion Quilting with Angela Waters : Choose and Use Quilting Designs on Modern Quilts. 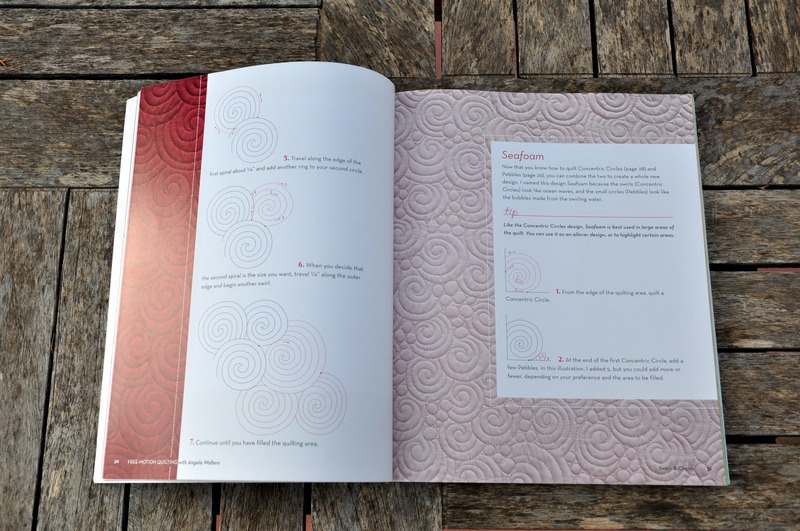 Very descriptive explanations of various quilting patterns, this is now my “quilting bible”. 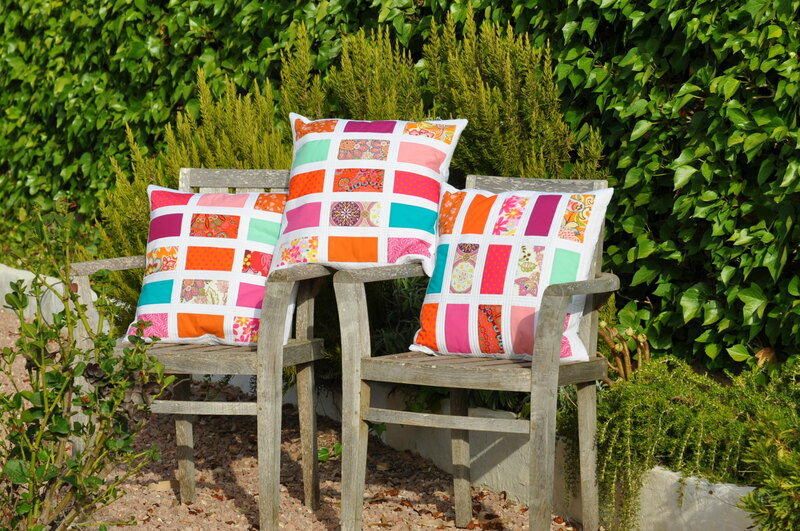 I have practiced some of the patterns on scraps. My absolute favorite is Seafoam – combination of 2 patterns: Concentric Circles (this one I need to learn) and Pebbles (this one I am practicing). Yesterday I have started quilting the sandwich I made before I went to Prague. I decided to combine the patterns pebbles and waves. 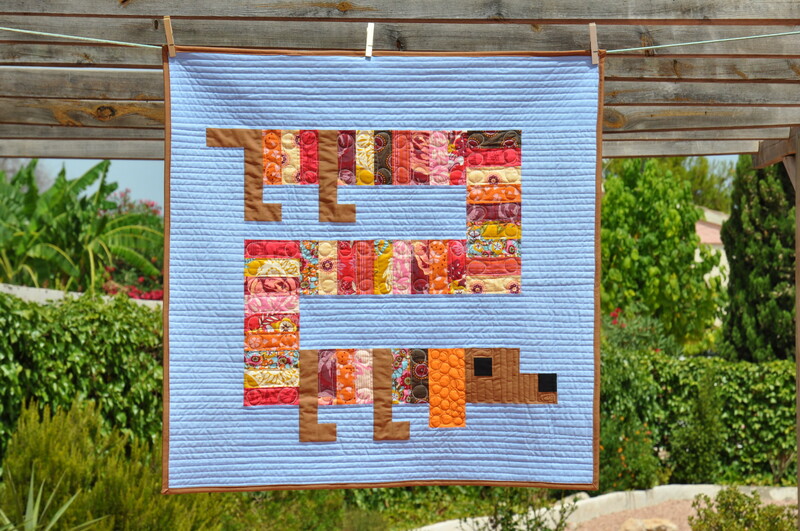 I shall only quilt the white fabric (background) and leave the color rectangles to float – as the quilt’s name is Floating Colors. When I read the book I also noticed that Angela’s favorite thread is a 50-weight polyester So Fine by Superior Threads. I like to follow experienced advice and I have ordered some more thread at Barnyarns in the UK. Here a quilting detail from the backside. So far free-motion quilting. In the meantime I finished a dog quilt . The design caught my eye whilst browsing the world-wide web. 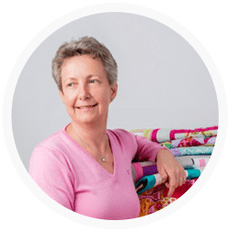 I loved the photos and I also found the author of the pattern: Boo Davis and the quilt I’m a Wiener Baby Quilt is from here book Dare to be Square. Since I have ordered sooooooo many books over the last few weeks, I decided to make the quilt just from the photo. I went through my stash and found enough material from the collection Innocent Crush from Anna Maria Horner. I think the result was worth while calculating all these cutting dimension from the various fabrics. This entry was posted in patchwork, small projects and tagged books, finished quilt, pillow case, thread. 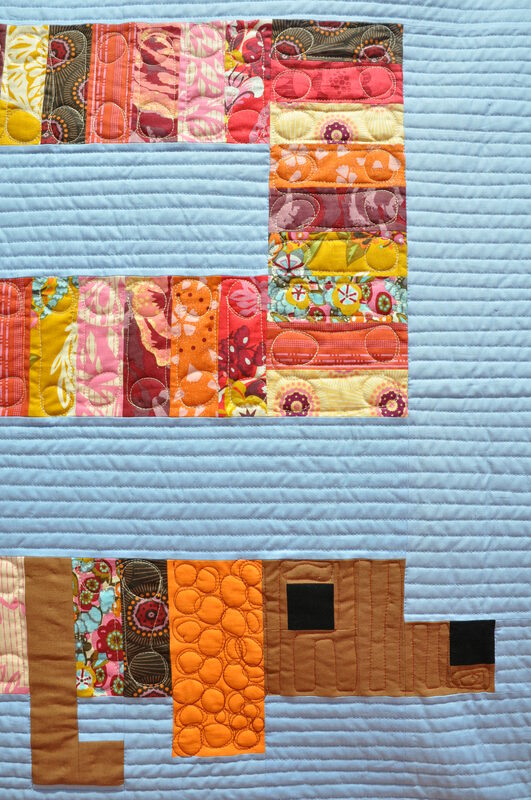 Love the way you’ve combined quilting approaches on the dog quilt – it really looks good. Good choice with the binding colour, too. 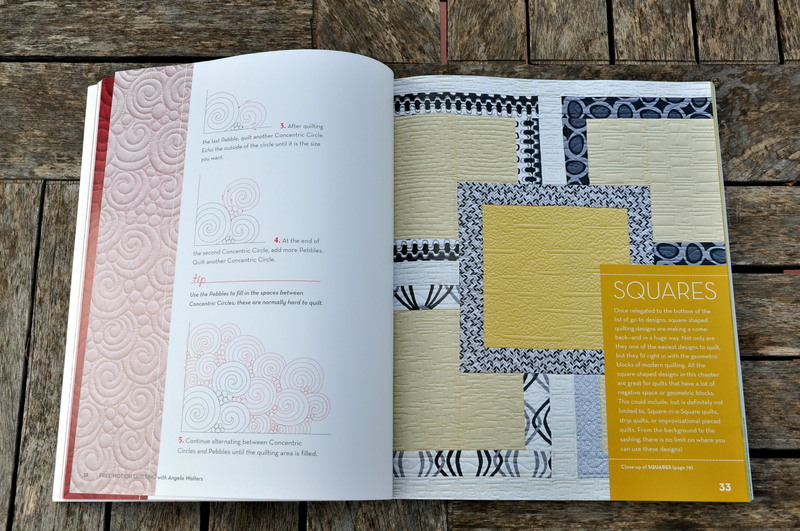 Your review of the book Modern Quilting Designs is very good – wish I read it before buying it.